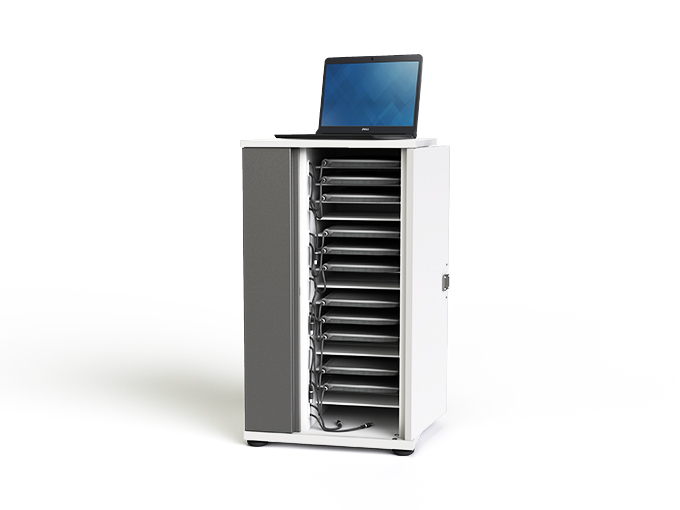 The zioxi Chromebook Charging cupboard provides charging and storage for 16, 20 or 32 small laptops, chromebooks, netbooks and tablets including the HP, Dell and Acer and the MacBook Air. Suitable for Chromebooks, tablets and laptops with up to 14″ screens – but please see Specifications for maximum sizes. 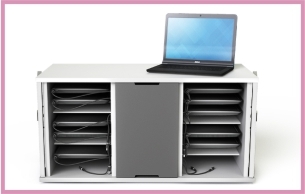 Devices are stored horizontally as they should be and only a short length of power lead is presented to each shelf. 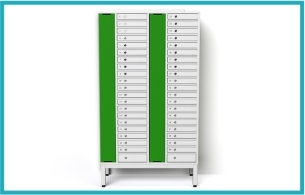 The laptop power adapters and cables are stored in a separate electrical compartment, hidden by a removable metal panel accessible from the front of the cupboard. Soft start power management is fitted as standard. 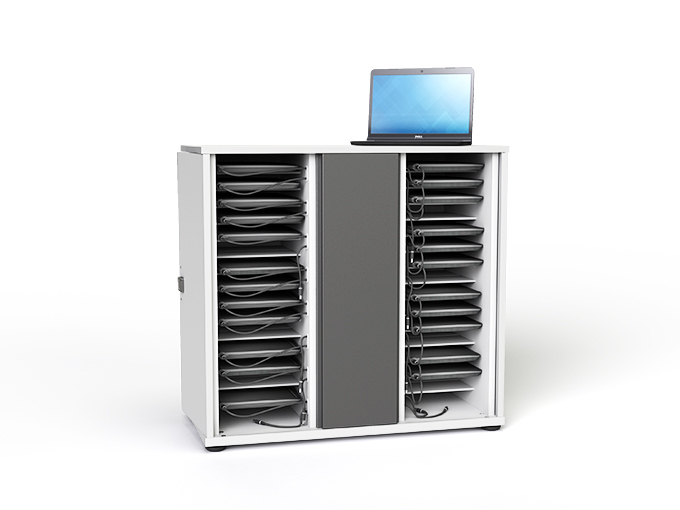 The zioxi Chromebook Charging cupboard has lockable doors which fold back 270 degrees for easy access. Also now available with zioxi onView web based control and monitoring.